The FresHair Waterless Shampoo Comb provides a safe, gentle and thorough cleaning for all types of hair. 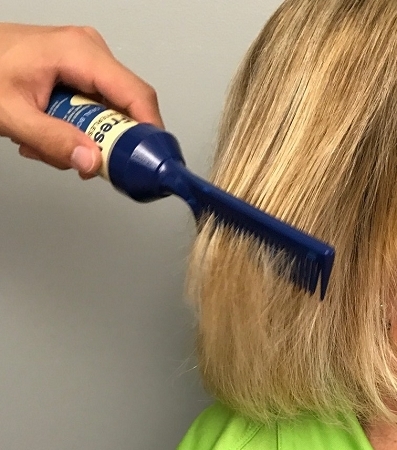 This amazing new hair comb dispenses waterless shampoo that does not require rinsing. Caregivers will find this easy to use hair comb helpful for shampooing without water. 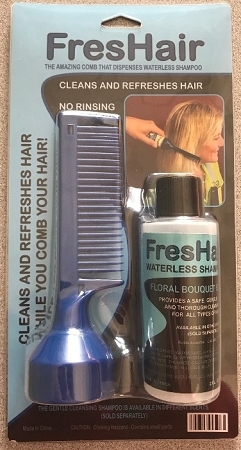 The FresHair Waterless Shampoo Comb is easy to use. 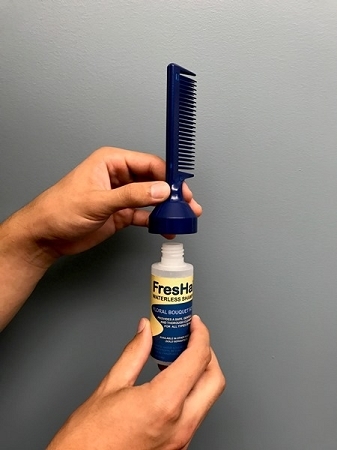 Simply screw the adapted comb directly onto the bottle. Just give the bottle a squeeze until the desired amount of shampoo has been dispensed the comb. The bottle does not leak when tilted on an angle or even tilted completely upside-down, which helps avoid unwanted messes. By simply combing hair, the waterless shampoo is distributed throughout for a thorough cleaning. FresHair Waterless Shampoo Refill bottles are available separately. 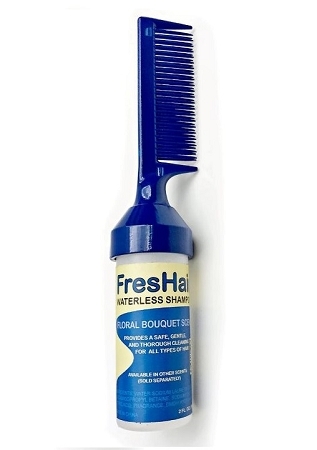 The FresHair Waterless Shampoo Comb cleans and refreshes hair and does not require rinsing.